You can earn your stripes the easy way with wallpaper, wall panels, rugs and fabrics. 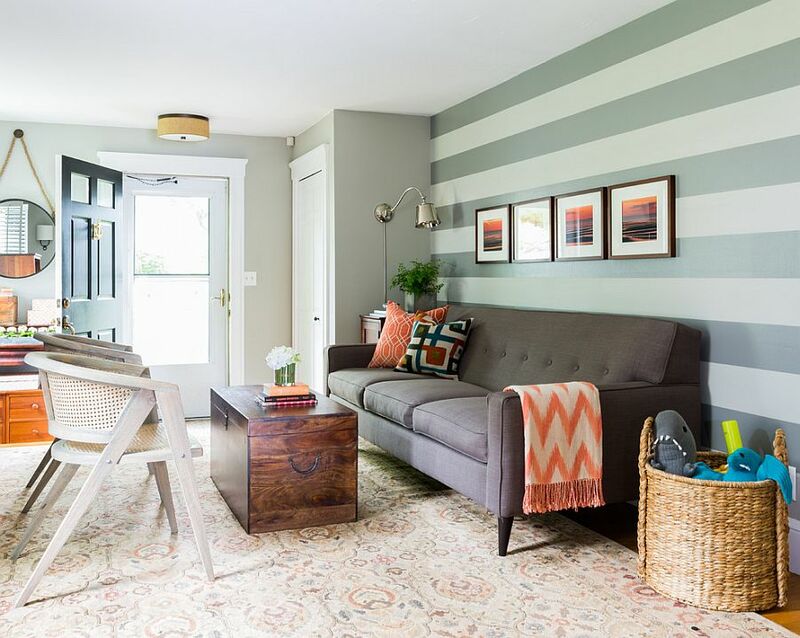 Designing your space with stripes can be a fun way to add interest and refined elegance to your home. 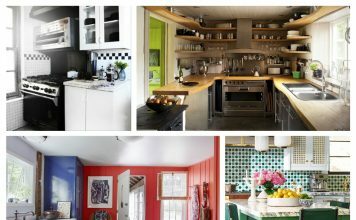 Stripes come in all shapes and sizes and can bring a fresh look to your interiors. 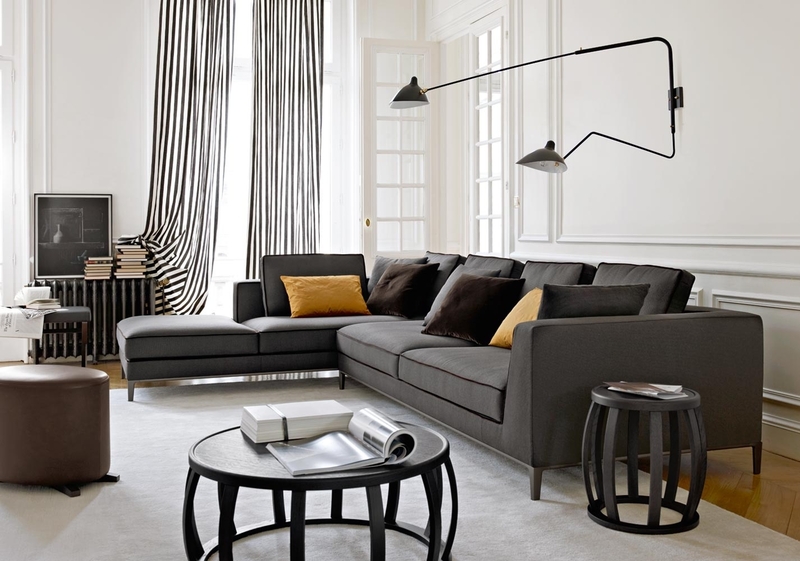 Here are seven ways to incorporate stripes into your home décor for a stylish and modern look. 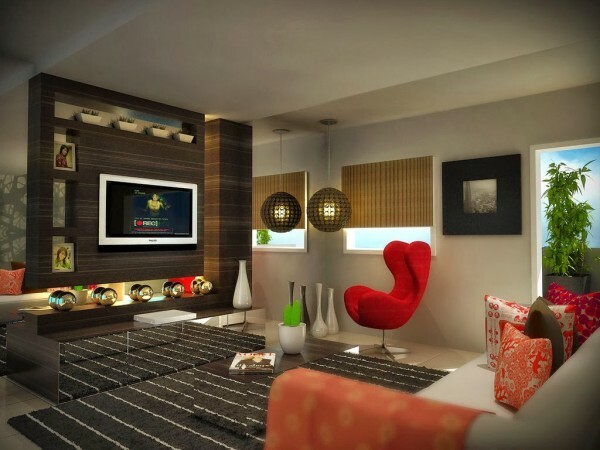 Alternating materials, such as wood and glass, can create an intriguing striped design on your walls and bring a wealth of dimension and character to the space. 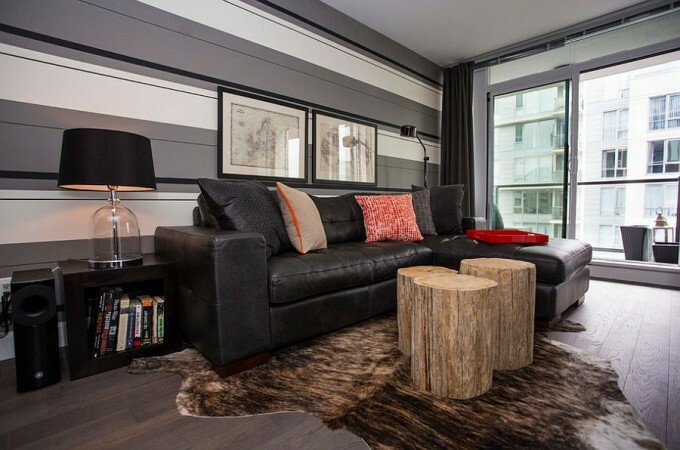 Wood dividers form a “striped” pattern around this space. 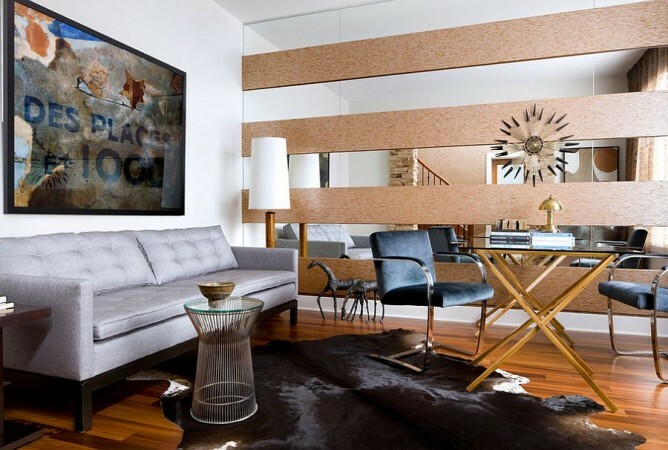 Framing wooden pieces on the wall creates a dimensional striped pattern. 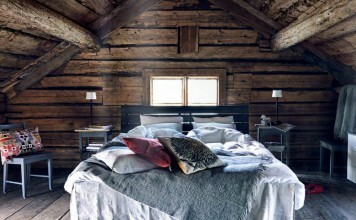 Simply using boards that are textured or painted in a stripe pattern add dimension to a room. Handsome pinstripes add visual height to this sleek room. A tone-on-tone striped wallpaper or paint treatment is a subtle effect that adds tailored elegance to interiors. 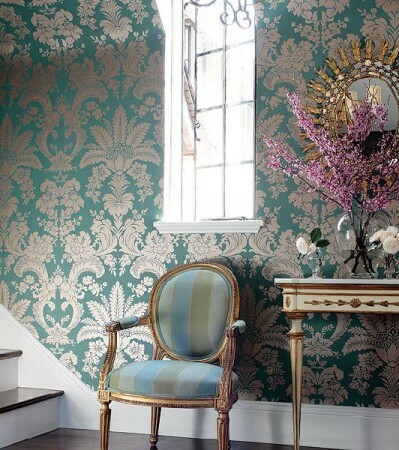 The front entrance of your home is a perfect place to add a bold color striped wallpaper. The tone-on-tone of the wallpaper helps to de-saturate and the white trim adds a crisp, elegant contrast. 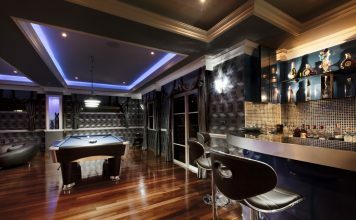 Tone-on-tone wallpaper works to incorporate pattern and dimension into a monochromatic color scheme. 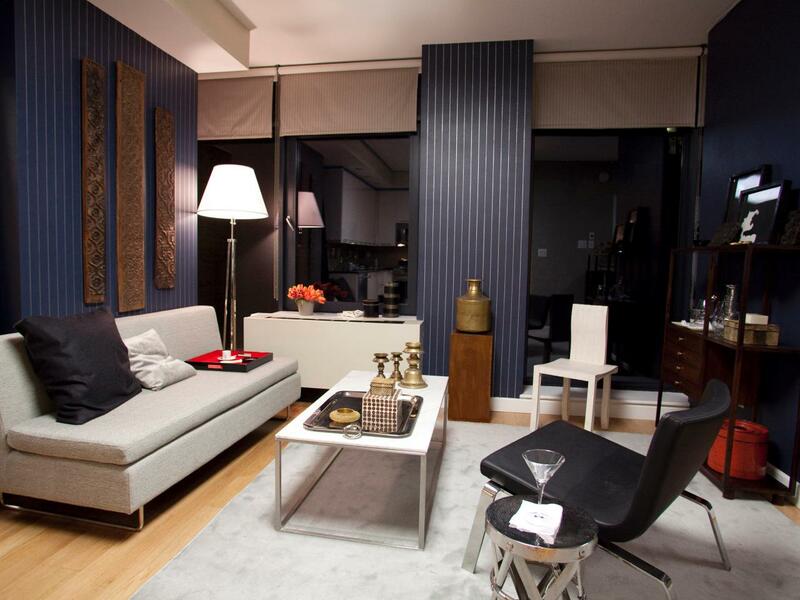 A large horizontal stripe adds unexpected interest and visually opens up a smaller space. Elegant silver tone-on-tone striped wallpaper finishes this room off nicely, giving it a sophisticated traditional appeal. 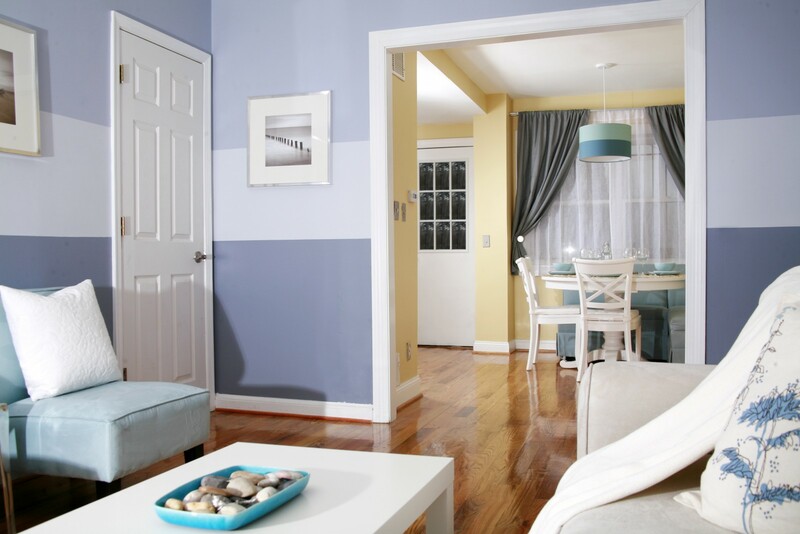 Creamy tone-on-tone stripes give lift to this beautiful room. 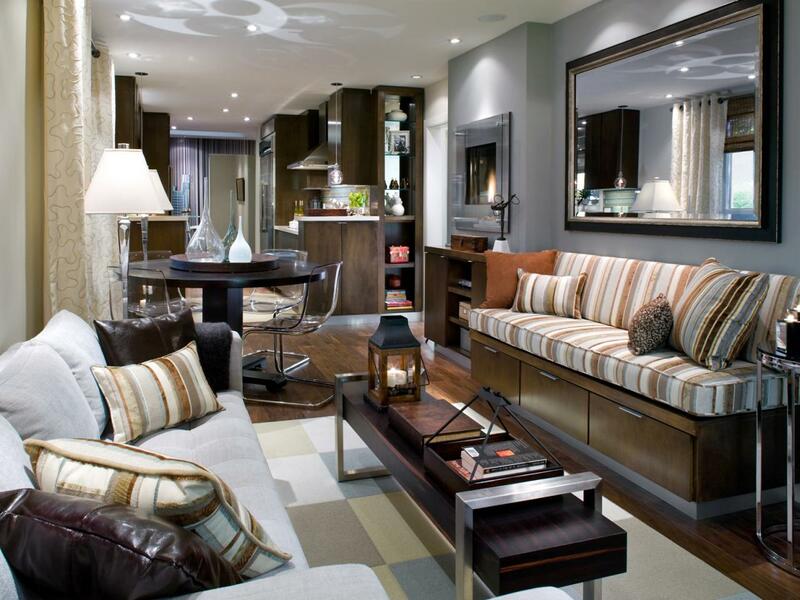 The subtle stripes add structure and balance the softer angles of the furniture. 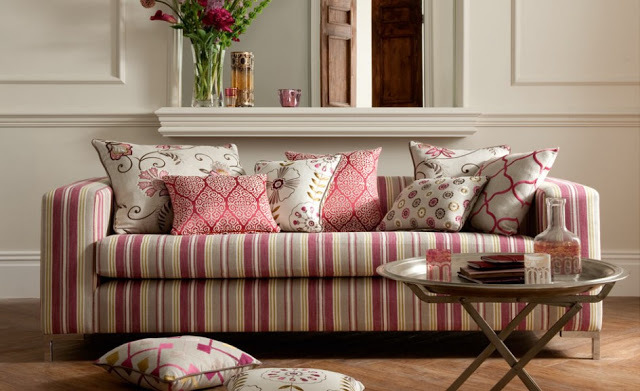 Stripes play wonderful accompaniment to floral or other geometric prints. 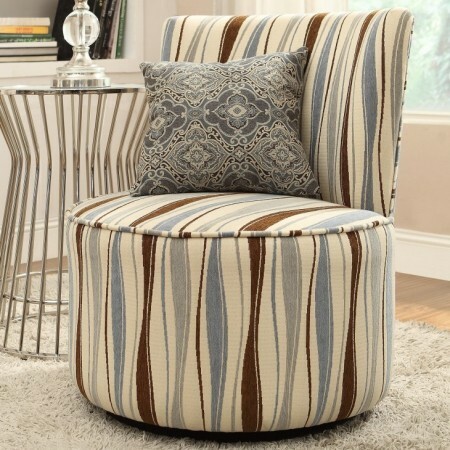 When used on upholstery, stripes are a stylish addition to any room. Bold stripes, thin stripes or stripes varied in size…all patterns offer great contrast and enhancement to other prints and solids. 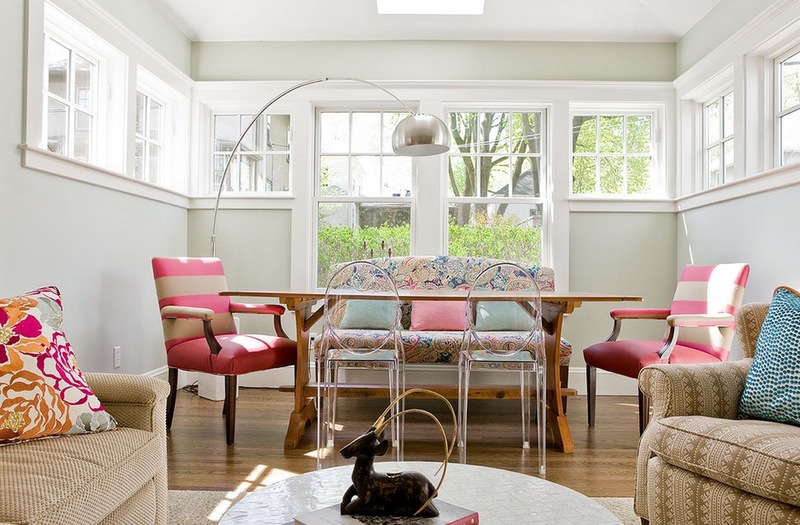 Pink and tan stripes put a bit of punch into the end chairs of this table, while the sofa has a subtle striped print to blend with the color scheme. This striped sofa provides the perfect backdrop for the collection of patterned throw pillows. The combination works well because the colors are the same and the scale is varied. Wide stripes give traditional furniture a contemporary update, while taking color cues from the damask wallpaper. 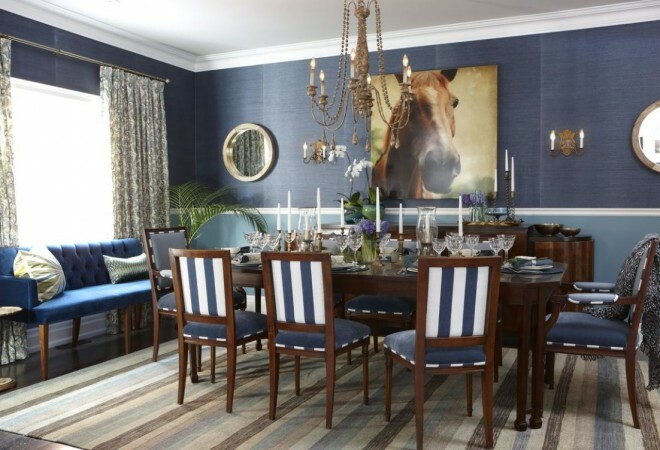 Blue and white stripes on the backs of these dining chairs offer a pleasing contrast. The striped fabric on the bench adds a bit of energy to this room and complementary pillows on the solid sofa provide balance of pattern. 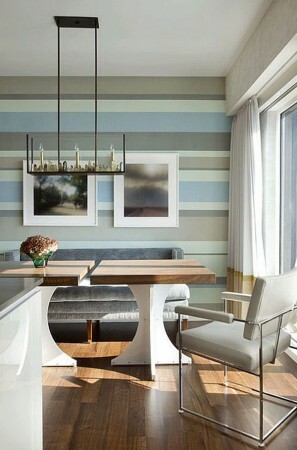 Wavy stripes give a distinct enhancement to this room, providing a chic contrast to the neutral solids. 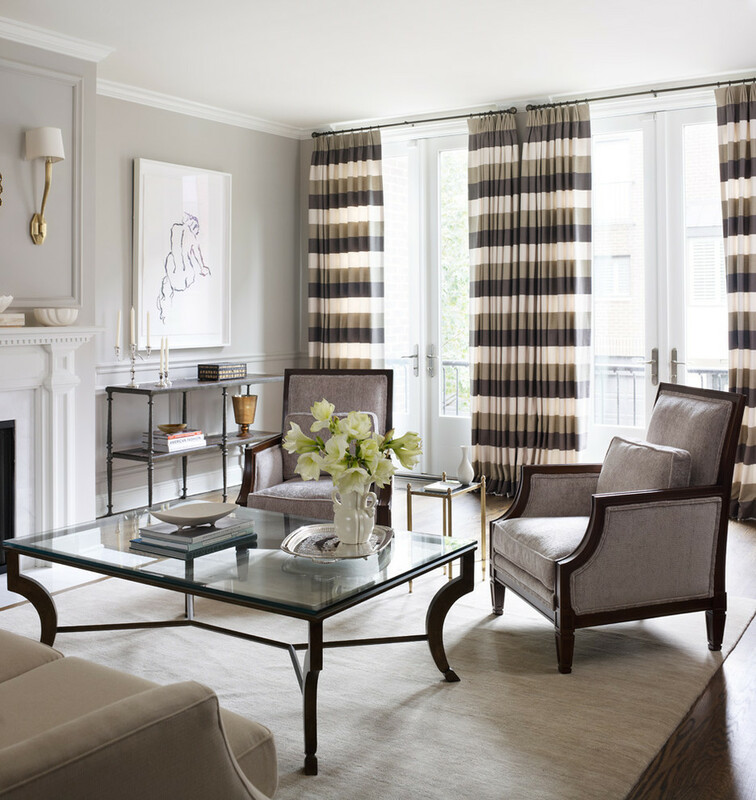 Window panels in striped patterns provide a stylish frame to the room. Vertical stripes visually heighten the room, especially when mounted above the window frame. Horizontal stripes add a modern edge to a space and widen the space visually. 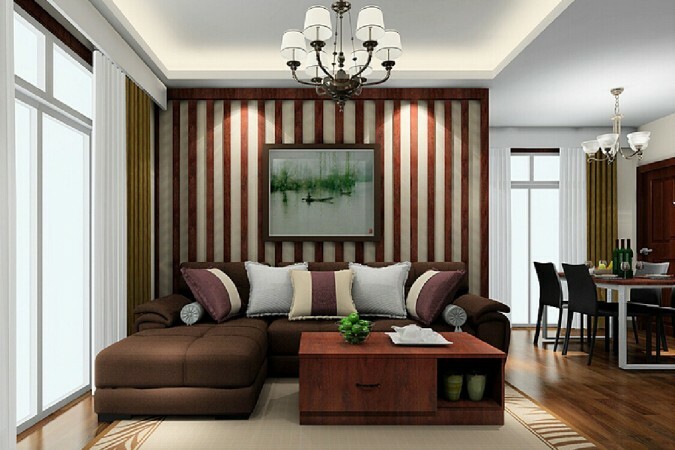 This classic styled living room gets a boost with horizontal striped panels that frame the room. 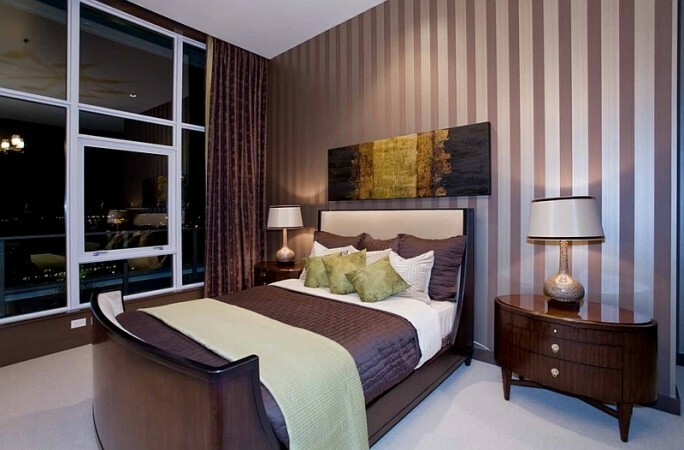 Vertical striped panels further elongate the window and provide a great contrast to the room’s color palette. For a subtle soft element in the room, install neutral tone-on-tone panels. 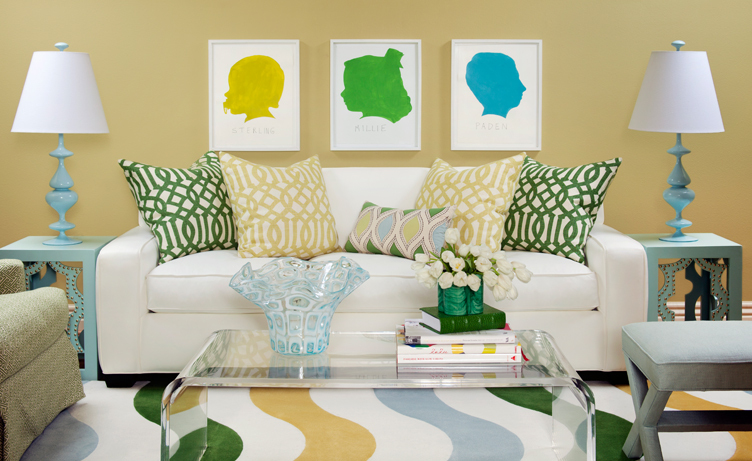 A rug anchors a space and provides a texture, color and/or patterned element. 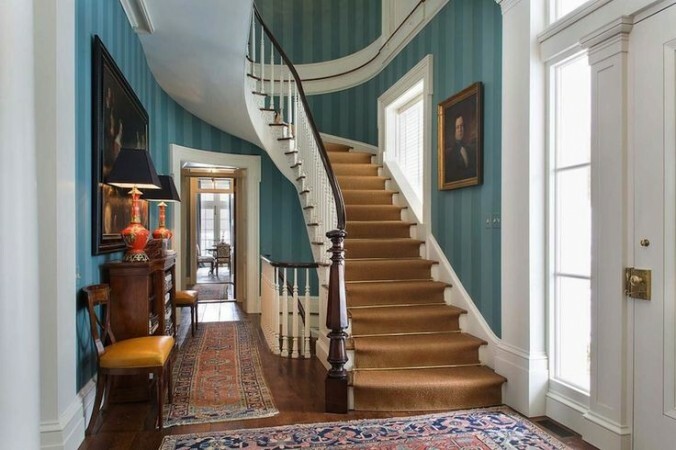 Area rugs are a great way to employ versatile, non-permanent stripes into your decorating scheme. 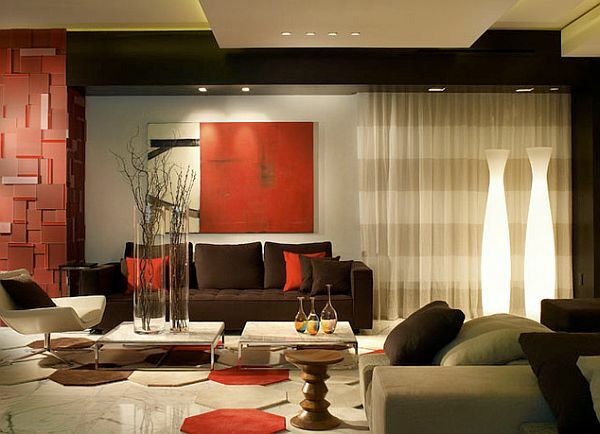 This striped area rug plays off the brick wall and enhances the white sofa, while defining this space. 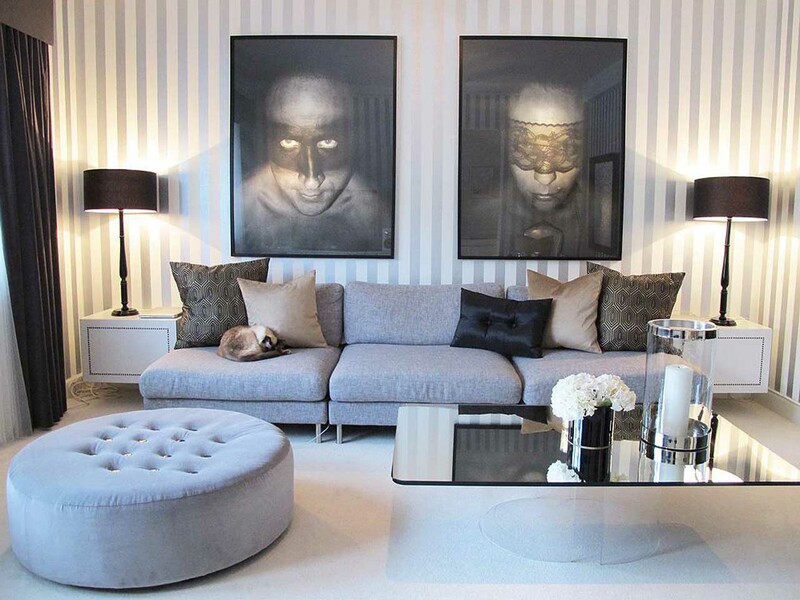 Placing a striped rug that runs opposite the stripes on the sofas creates interest and contrast. 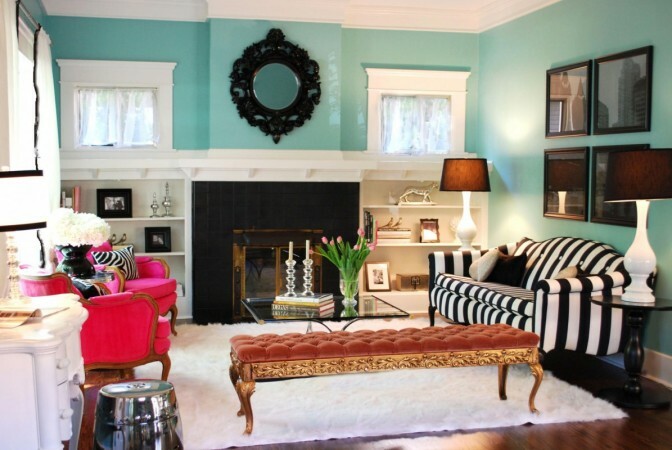 This works well due to the sofa fabric and rug being within the same color family. 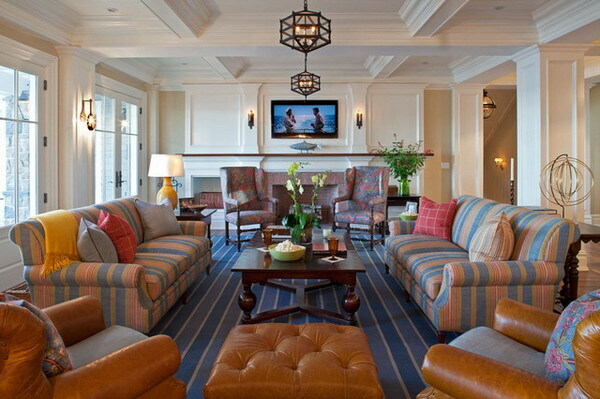 The warm caramel of the leather seating contrasts nicely with the rug. Neutral bands of color replicate the striped fabric on the pair of chairs and provide a solid foundation for this room. Stripes don’t have to be straight to be called stripes. 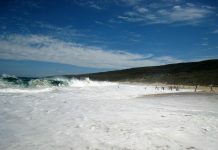 They can be wavy, angled, curved, embellished, or even zebra. 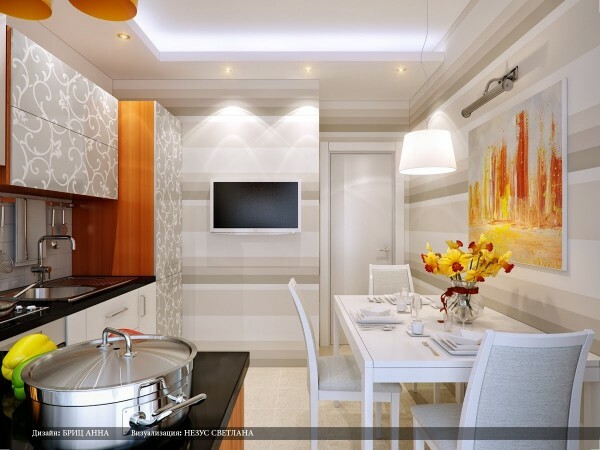 Stripes of a different style bring out a more fun and modern dynamic in your interiors. A wavy striped area rug gives this room a touch of whimsy. 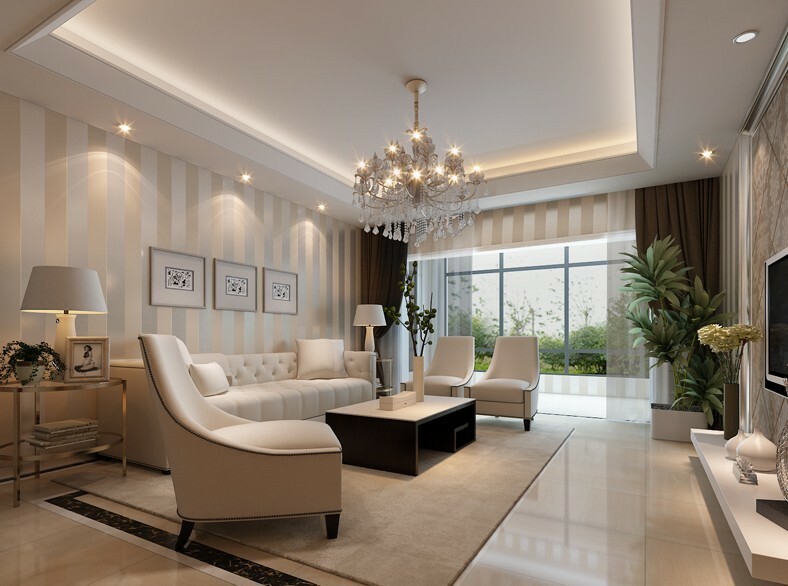 Zebra stripes are always in style and add a distinct style to any interior design scheme, traditional or modern. Zebra stripes in a color other than black or brown add a playfulness and boost of color. 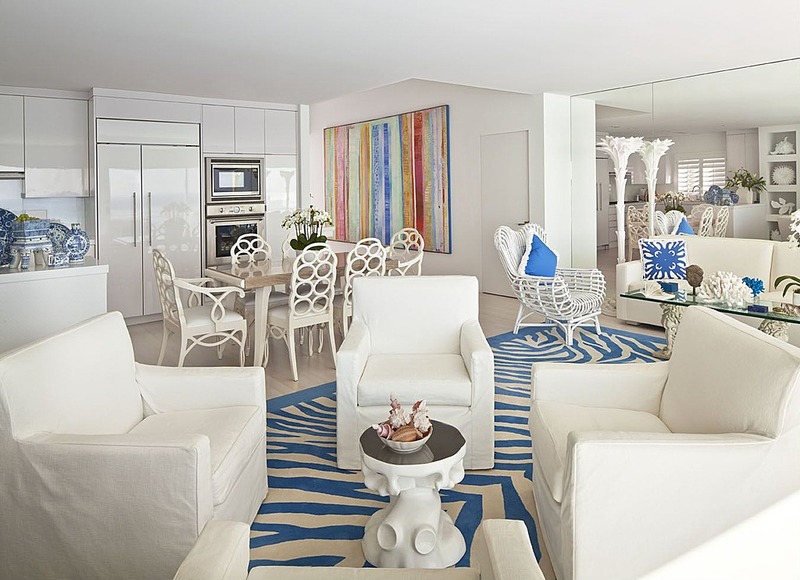 In this room of all white, the zebra rug provides definition of space, anchoring the room. 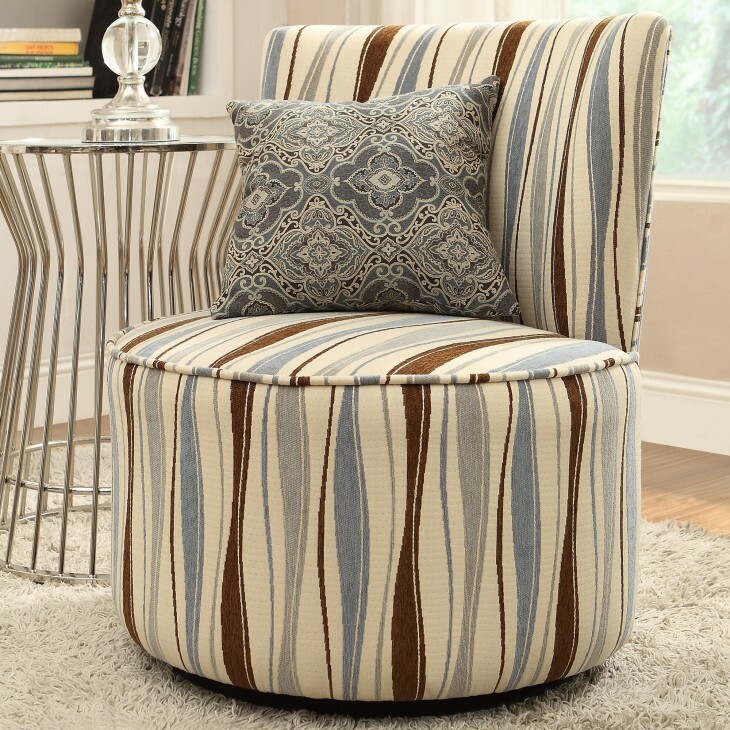 A pleasing blend of wavy stripes, small and large, give this small chair a modern vibe. 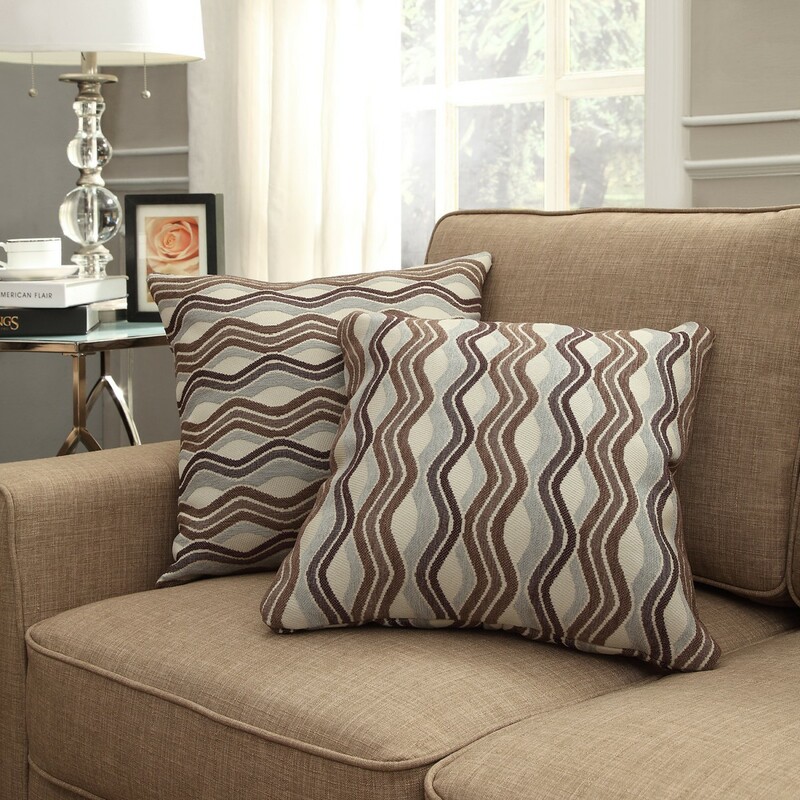 Pillows with wavy stripes add a touch of softness and variety. 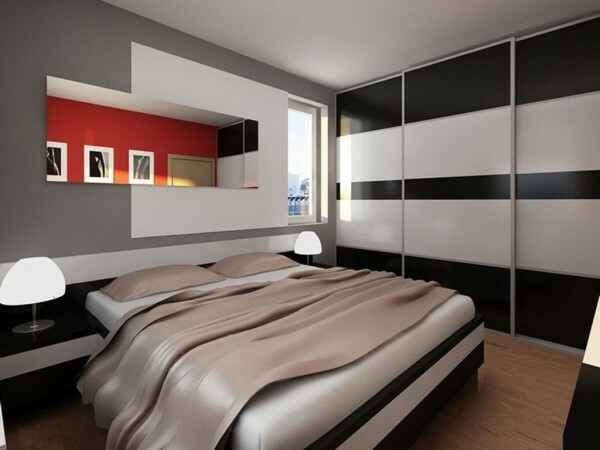 Wide stripes can bring a very modern appeal to an interior. Varying widths add a richness and dimension to a space. A varying scale of stripe gives this room a modern vibe and makes artwork stand out. Bold and large stripes appear more like color blocks and add a strong element of dimension to this bedroom. 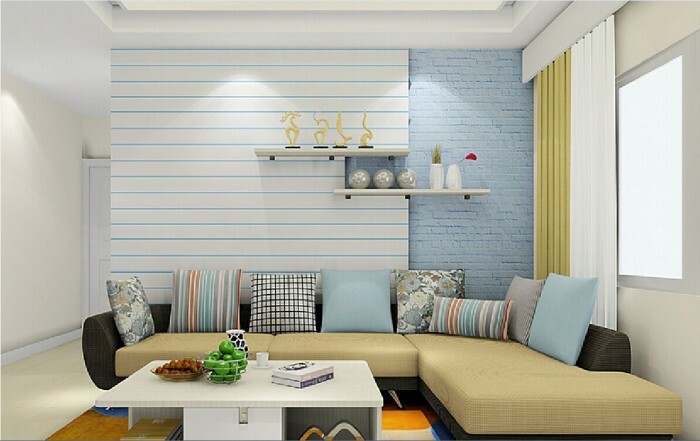 Blending the colors of this room, the feature wall of wide stripes is bold, fresh and modern. 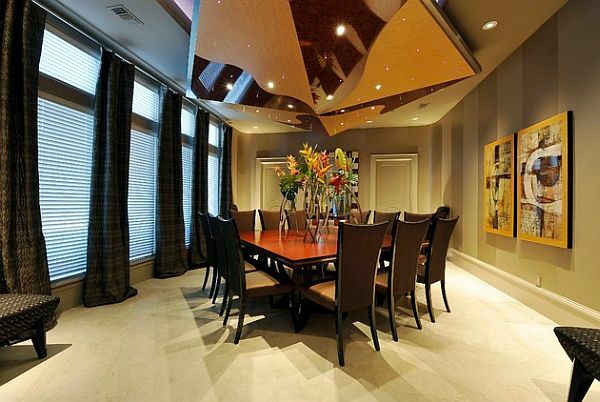 This space thrums with energy and cosmopolitan charm. Bold tone-on-tone stripes encircle this room and give it a dimensional lift. 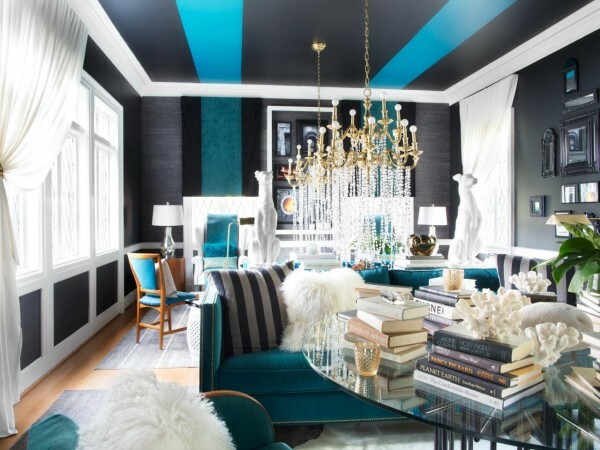 Bold stripes are carried over onto the ceiling to elongate this room and give it a pop of color. The stripes balance the color scheme. 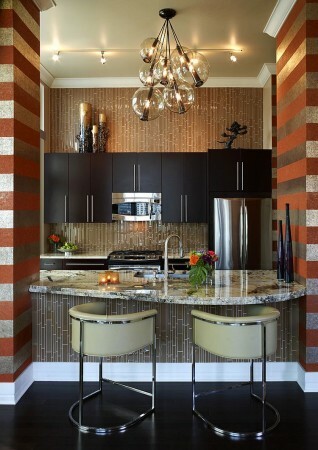 Subtle tone-on-tone stripes are bordered with the room’s complementary orange, unifying the design. Whatever color, shape or size of stripes you prefer, adding them to your home in a subtle way is easy. 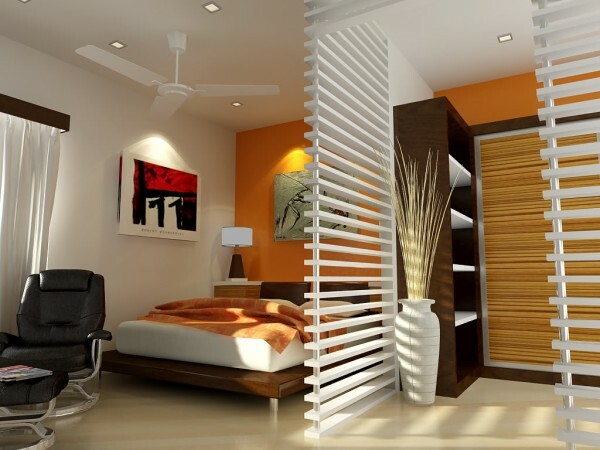 Stripes make your rooms modern, sophisticated and elegant or bold and fun.